Careful not to boil for too long, the flower needs to be quite hard if you want it crunchy, which I do! Sits best you can on a scrunched up, wet baking paper. Roast and brown under a grill if needed. 2. 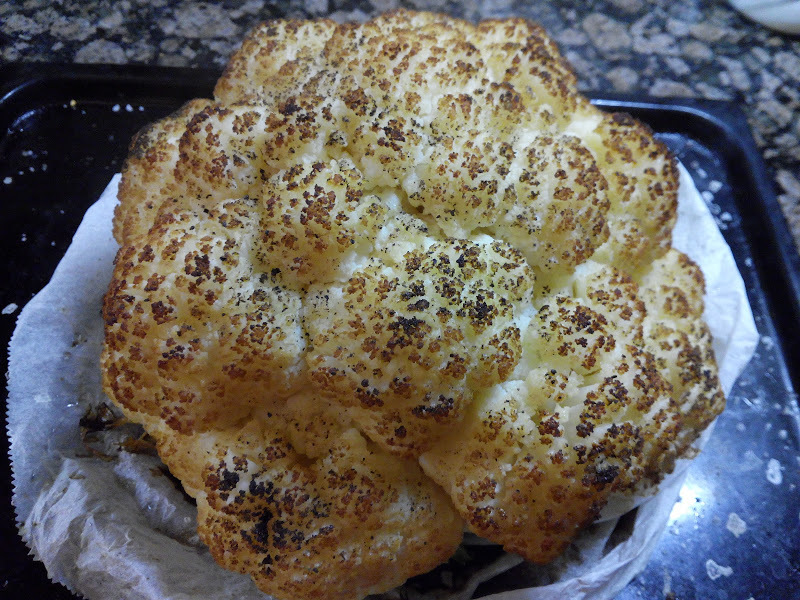 Invert the whole cauli , stem and all into the boiling water. 3. 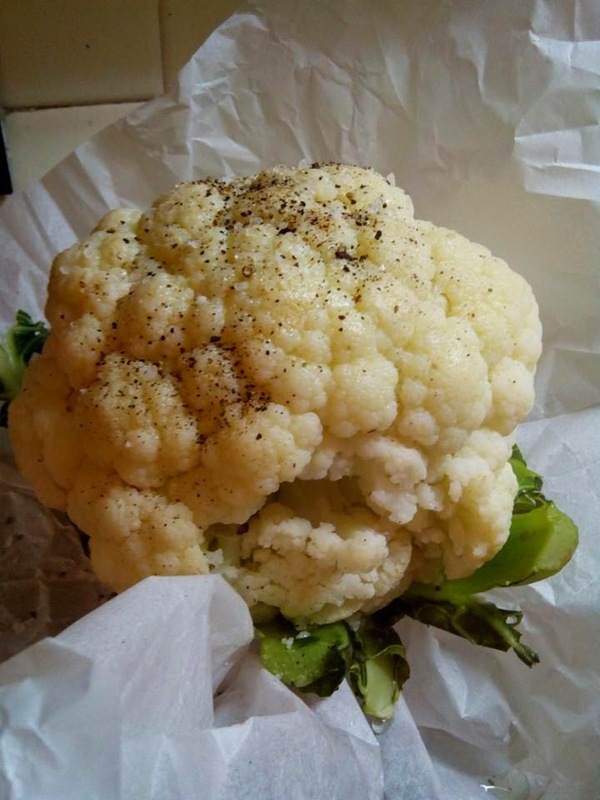 Cook till cauli is blanched. 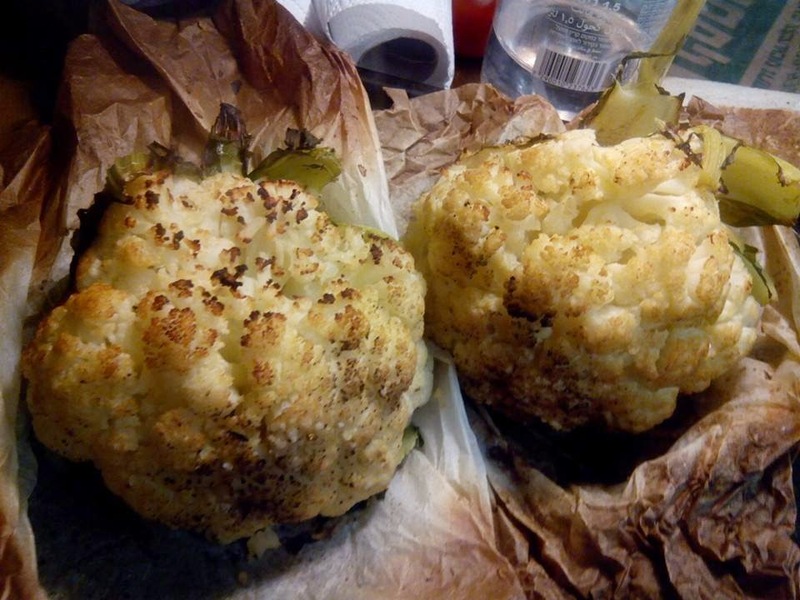 Hard to say, depends how big the cauli is. 4. Crumple baking paper in hand and wet under the tap. 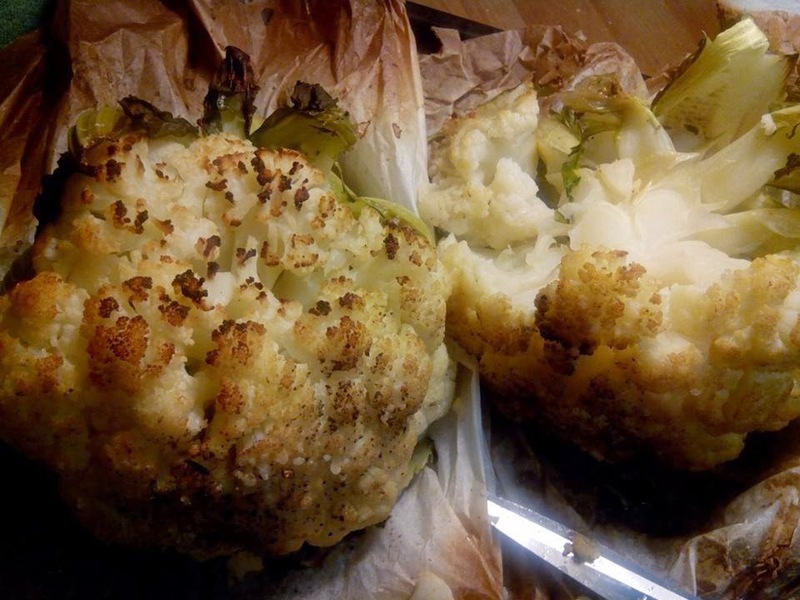 Wrap cauli inside like a bouquet. (I found standing it on a glass or bowl helps here). 6. Bake in hot oven around 250 oC middle shelf till brown, turn with tongs to brown other side. Serve straight from the oven, steamy and hot! Done under Eylon's instructions: "steamed' in shallow boiling water in closed pan for about 10 mins depending on size of cauli. Then sitting on wet crushed baking paper. In the oven with olive oil, salt and pepper.